Guys, how much did we love the Destiny's Child reunion during the Superbowl halftime show?! My friend and I were totally singing along to all our old high school jams, haha. I don't care tremendously about football, but I do like to make good game day snacks! 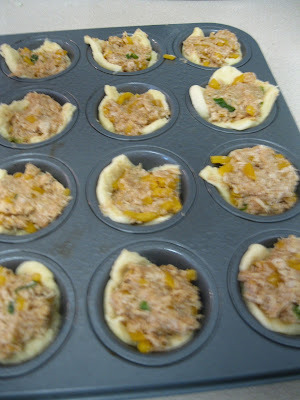 This year I decided to give these BBQ Chicken Crescent Cups a try - thank you, (as always) Pinterest! These were simple to make, and a big hit at the Superbowl party I took them to. They are really best served warm, but since I had some travel time, I served them at room temperature, and they were still good. 1 package crescent rolls or dough sheet **Those new crescent roll dough sheets are awesome, because they aren't perforated, but either will do! just press the seams together first. 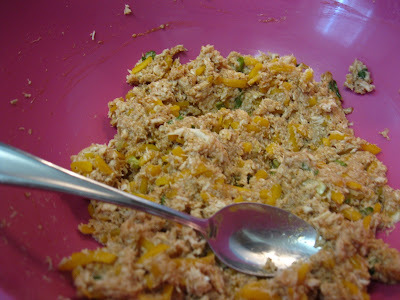 Tip: Once you cook the chicken, (I just seasoned lightly with ground mustard, chili powder, salt and pepper and baked in the oven) throw big chunks in the food processor and pulse a few times. Voila! Perfect finely chopped chicken! This isn't shredded like you'd use for carnitas-type meat, but to get a really fine chop for these crescent cups, or say, enchiladas, it is perfect!! Combine all ingredients except the crescent dough, and set aside. Cut the dough into squares (See original recipe for all the details!) 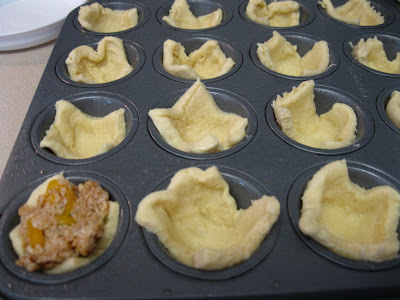 and gently press into a 24 cup mini muffin pan. Fill cups with chicken mixture. 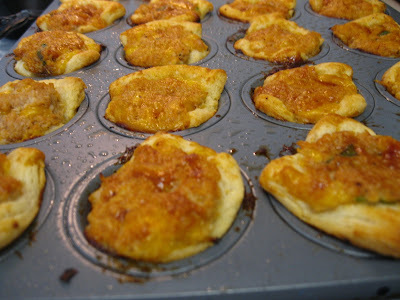 I melted some butter, mixed it with BBQ sauce, and brushed the mixture over the tops of the filled cups with a pastry brush before baking. 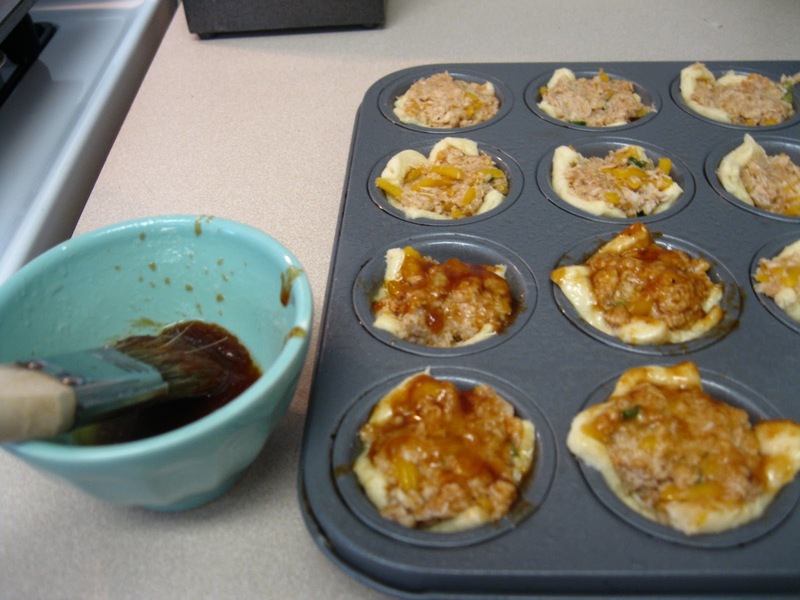 This gave them a more 'BBQ sauce' color on top, plus ensures the cups get nice and golden brown on top. Then, just bake according to the dough package instructions. What what your favorite part of Superbowl Sunday?? Um, mine was this commercial. So sweet. Of course I cried.